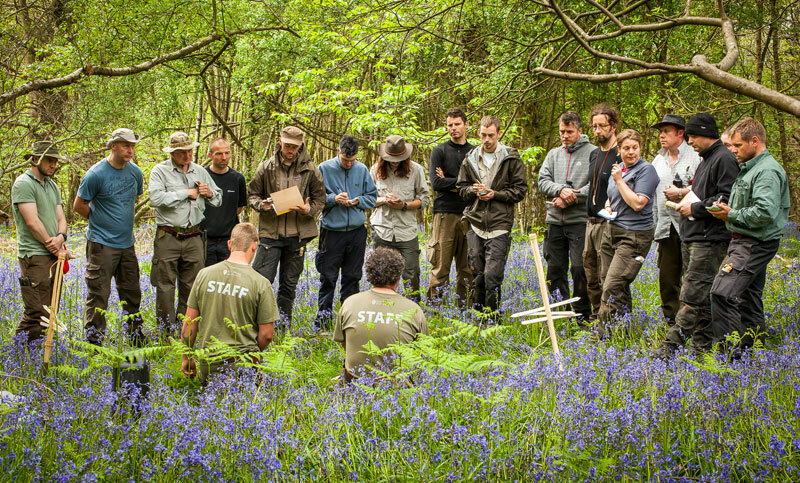 This week marks the end of the UK course season at Woodlore. Our first course this year, the Advanced Tracking that took place in April seems so long ago and so much has happened since then. 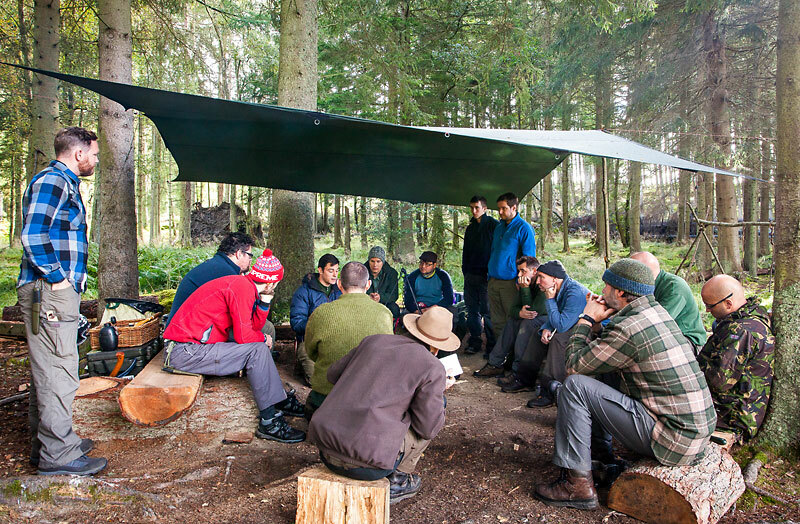 We have run a wide variety of exciting Bushcraft courses throughout East Sussex and further afield, meeting and enjoying spending time with clients from all walks of life. Along our Bushcraft journey, we have seen our woodland home pass through Spring and Summer, watching the leaves form, grow and eventually flush into their beautiful Autumnal display; we have witnessed the birth of new life, seen fawns nestled in their bracken hideaways, been serenaded by the dawn chorus and watched our summer visitors fly back to their winter homes: a truly life affirming experience unique to those who venture through the seasons. As nature has worked to its own calendar, we have had the pleasure of welcoming many new students to our camp, helping and inspiring them to start their own journeys. Along the way, we have also welcomed back those familiar faces who have returned to the fireside to open the next chapter in their learning. We are in the business of preparing people to find their way in wild places, enriching their lives and changing the way they look at themselves and the world through which they travel. It is a privilege that we cherish. Traditionally, we run our final courses of the season in Scotland and this year was no exception, there were however some exciting new developments! 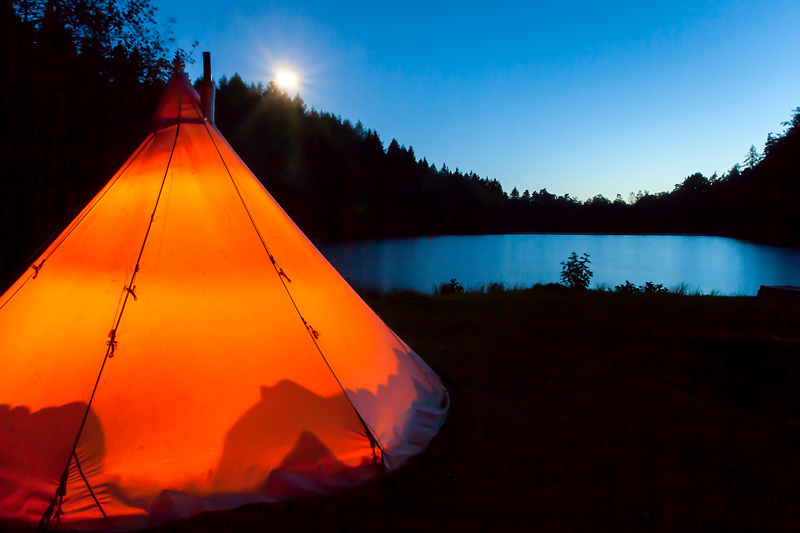 September marked the return of the Fundamental Bushcraft to Scotland: Fundamental Lochside. Students were treated to the experience of catching and cooking their own wild trout amongst many other highlights. All worked hard and reaped the benefits of success that come from learning with commitment. We look forward to running more Scottish courses in the coming years. We are all now looking forward to the next season, starting in April 2015. Plans are forming, improvements being implemented and all being made ready for a new year’s students. Excitement is already building as we look ahead and refresh ourselves, ready to give the very best experience possible. Thank you to all who have joined us this year, we look forward to seeing you again, alongside new Woodloreans in the future. This entry was posted in Bushcraft Courses & Expeditions and tagged bushcraft, courses, east sussex, fire lighting, loch, scotland, survival, Tracking, training, woodland on October 9, 2014 by Woodlore Limited. A very nicely written blog and further inspiring to my time on the fundamental lochside course I had the privilege to attend this year, what a great week, I look forward to continuing to be a Woodlore student next season, fingers crossed for more courses here in Scotland too! Thankyou Woodlore, particularly Dan, Keith and Rob for the skills you shared in Scotland this season.. Best Wishes.